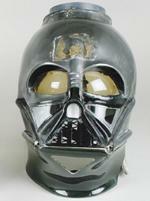 As most of you will know we are casting the GS Vader helmet and offering casts with thanks to Greg. 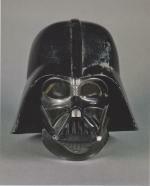 I am trying to hunt down a source for the mouth and chin meshes for ANH, ESB & ROTJ Vader helmets as I am going to try and offer the trilogy of Vader helmets after the initial "Unaltered" run. Alan, AKA Fatherless one is kindly able to supply us with the correct accurate tusks. I am making some lens moulds to use on my Vacuum former but the different specific colours would help if anyone knows them...... I really need a good place to get the correct mesh. It would help greatly if I could even just get the correct size and info on the mesh then I can source it myself. I have been through so many pages of threads with no pictures which are not a great help. The main thread I can find on the mesh didn't really hold much information. I have the Kurtyboy mesh as I bought the last stuff he had available years ago so I guess ANH is covered as I can source it using that as a reference. Hope someone is willing to help. I am happy to receive PMs if speaking out publicly is a problem. Good luck with your hunt. Hope the people who know what sources to look for will chime in to help you out. I'd like to do it justice. Daaaaaaaaaaamn! I knew there was something I was supposed to remember! Sorry Mark I meant to get you the product code for the correct ESB mesh a couple of weeks ago but forgot I'm afraid.. sorry mate. Same mesh in mouth and chin, nothing behind it and also used in the ROTJ Reveal's chin. The details are with various bits of meshes I've gathered in storage at the other end of the country, I'll look em out next time I'm down that way in a couple of weeks. I don't have any spare I'm afraid, in fact I might need some more myself at some point. I think Mark's going to need to buy some for the GS Vader so I'm sure he'll be able to sort people out. If he does spend money on the mesh I'd better allow him to recoup some of those costs. I've never researched a mesh source but would love it if someone offered the correct ANH and ESB mesh for sale. I just want to make this run of helmets the Den would be proud to have on here and by that I want to make them as screen accurate as I can. I have tried researching the forum but with all the missing photos and lack of actual details it's not an easy task. I now have the tusks sorted... Thanks Alan. I think I have the lenses sorted, I have made a mould to form them and I am going to spray them with a coloured lacquer.... Has anyone established the correct tone for all three films? Has anyone tracked down a good gun metal colour....?? The originals all seem to be a slightly warmer gun metal than I can find.... All I have found so far are slightly too cool/blue. Gun metal - I have to look here at what I have but do definitely look at Plasti-kote colors at your car store. I actually brought my mask over there and held up all the cans of every dark metallic gray/ silver I could find next to everything. I don't know the exact lens tone, but here's a screen capture from Brandon Alinger's youtube promo for his Star Wars costume book. He's holding the ROTJ stunt mask and from a great view to see both the lenses and the mesh. Now whether these are the same as ROTJ hero, I don't know. Yeah, it's a very light brown colour/tint, definitely not amber (orange) or red, even a light grey would look good, but a light brown is the colour from what I've seen. So ROTJ is light brown. From what I can tell the ANH is amber. What's the consensus on ESB? I think the amber colour myth is completly wrong. 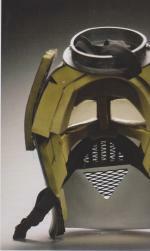 Take a look at the tie pilot helmets, those lenses were also clear. They just look black cause the ABS of the helmet is black. I would say all the lenses which they used were clear lenses. 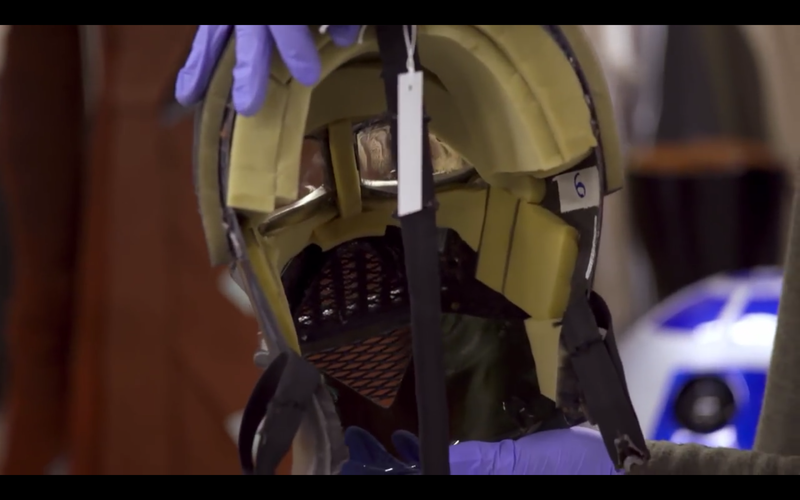 The yellow touch or call it amber does arise from the yellow/orange foam they used inside the helmets. Some more shots from the ESB stunt helmet. From the outside yellow , from the back clear maybe light grey. 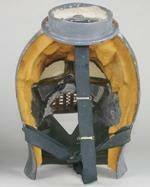 Here also a shot from the RotJ Stunt helmet from the back. I'm also of the belief all three masks lenses were the light brown (slightly yellow) colour. Once somebody is wearing the mask and looking from the outside the lenses can have all sorts of colouration depending on the ambient lighting. Last edited by Fatherless One on Tue Nov 08, 2016 7:51 pm, edited 1 time in total.